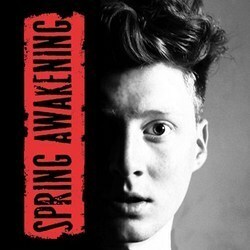 This was a very competent production of a sadly cut-down version of Spring. As it’s written, there is just enough character development to hold the various threads together and unfortunately when you cut important bits of the lib out it becomes disjointed and confusing at times. Add to this the increase in tempo of various numbers (for my taste at least) and it felt a bit rushed. Anyway, there were many positives – Moritz is outstanding and Ilse’s song is very nice. Okay, her acting voice is completely different to her singing one but that issue afflicted many of the cast. I don’t have a problem with cast members using their own accents but when there is little consistency in their own characters it is annoying. I liked the clever use of all the chairs – some really nice touches there. The band is excellent, especially the strings. Their balance is good although they drowned out the singing at a couple of points – this is a cast sound issue though, not a band one.